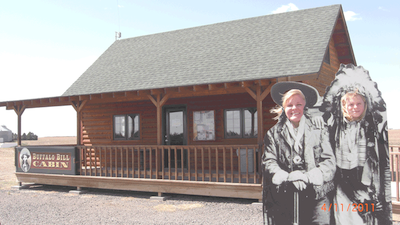 The Buffalo Bill Cabin has been the home of our gift shop since 2006. 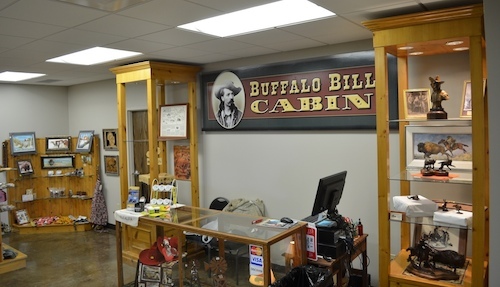 With the opening of the Buffalo Bill Cultural Center in 2012, the cabin moved away to a new home and our gift shop moved to its new home in the center. The Buffalo Bill Cabin Gift Shop, with the original cabin sign off the front porch, and the same rustic feel as the old cabin, is full of great gifts, postcards, and Kansas made products. The Buffalo Bill Cabin Gift Shop has many unique gift items and Kansas made products. As a regional visitor center, our goal is to let visitors see the great, Kansas made products our state has to offer. If you produce Kansas art, crafts or packaged food and would like your product on display and/or for sale in our gift shop, please contact Laurie Millensifer at 785.671.1000 or email info@buffalobilloakley.org. 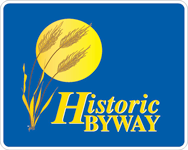 Download the Vendor Information Form and email or mail it, along with your brochure, business card, or other sales related information, to: The Buffalo Bill Cultural Center, 3083 US Hwy 83, Oakley, KS 67748.